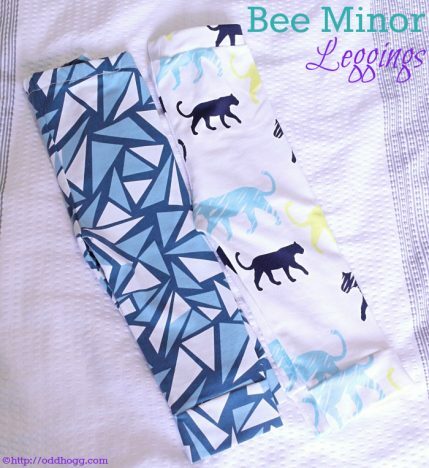 A few weeks ago I ordered these gorgeous leggings for Piglet from Bee Minor. I had been drooling over them on Instagram for a while so when there was a sale I just couldn’t help myself! 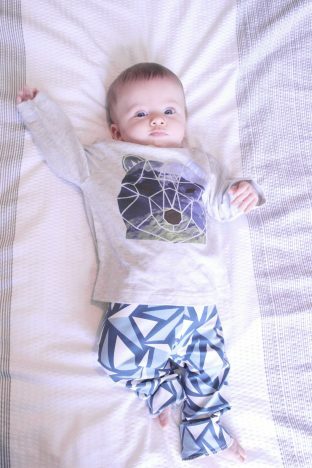 The legging are all made from certified organic fabric, they are so soft and I hope they’re as comfortable on Piglet as they feel. As he is still finding his way around I want him to have freedom of movement and not feel restricted by his clothing. Leggings fit the bill perfectly for that! 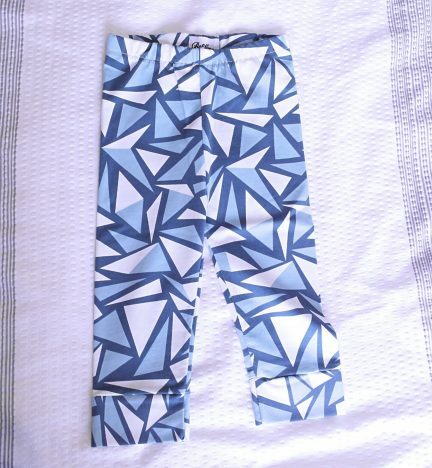 The first pair I chose were this gorgeous geo print. They were the first ones to catch my eye on the Bee Minor instagram and drew me in to follow the brand. Piglet is wearing a 3-6m in trousers so I ordered the 6-12 month leggings so he could grow in to them. The leggings are all hand made so there is room for a little variation. 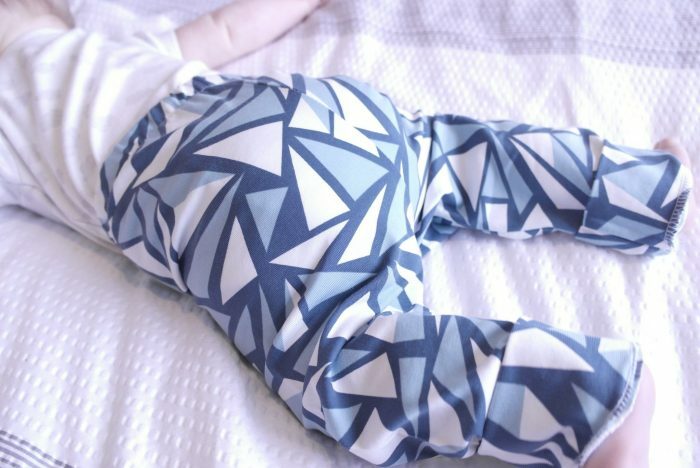 I found the geo pair to be perfect on the waist for Piglet to wear already – an added bonus for us! They’re a bit baggy on the leg and of course too long, but he will get loads of wear out of them. Piglet has worn them a few times now. They’ve washed really well (I did of course follow the care instructions) and kept their softness. I happened to already have a geo print t-shirt which was too cute to not match with the leggings. 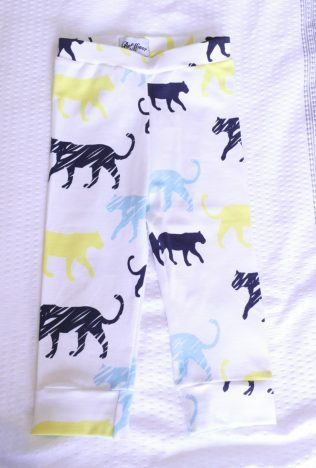 The second pair of leggings I chose was a fantastic bright panther print. I was worried they wouldn’t be as bright as they appeared in pictures but they didn’t disappoint. Size wise they pretty spot on for what I would expect for a 6-12 month pair of leggings. Piglet will grow into them eventually! 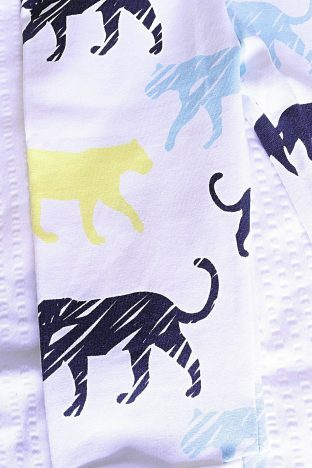 I love the print and I think it is pretty unisex, both little boys and little girls would look adorable in them. I can’t recommend Bee Minor enough. Keren’s customer service was fab and delivery was really fast. I can’t fault the quality at all. Tip: As with any handmade product variations are possible. If you’re at all unsure then size up to be on the safe side. She is also willing to adjust leg width if its requested when you place your order – you can’t ask for more than that! Aww I love a chunky thigh on a little one! Hand made is great as you can request slight changes to suit you! they are – I really love them! Oh they’re gorgeous – not a brand I’ve come across before but I’m impressed! Oooh they look just gorgeous! They look soft and really good quality in the pictures! I used to live my boys in leggings when they were tiny! I’ve fallen in love with the animal print ones, I will definitely keep them in mind for future gifts! !